This is a Korean dish, and I like it. When I was in Japan, I used 'Harusame' (Japanese noodle) for Japchae. 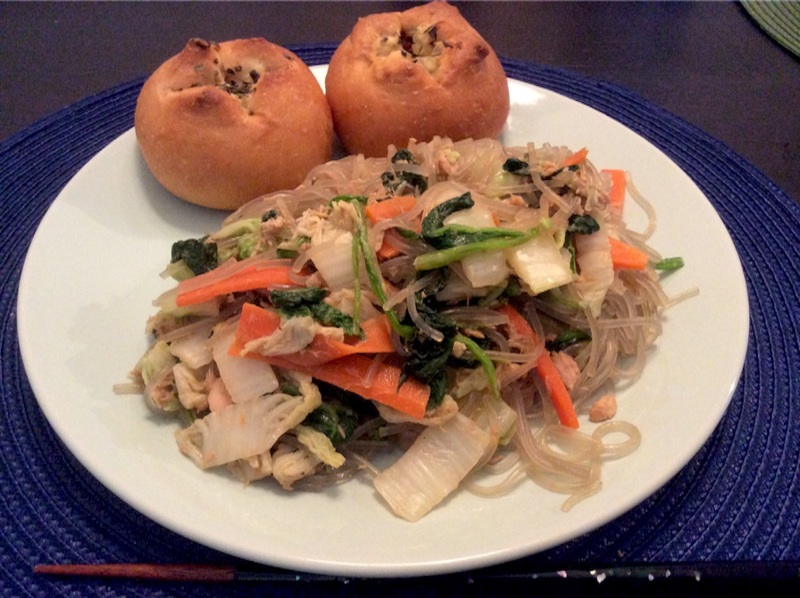 But after my Korean friend had made Japchae by Korean noodles for me, I began to use Korean noodles. It is cheaper than Japanese. 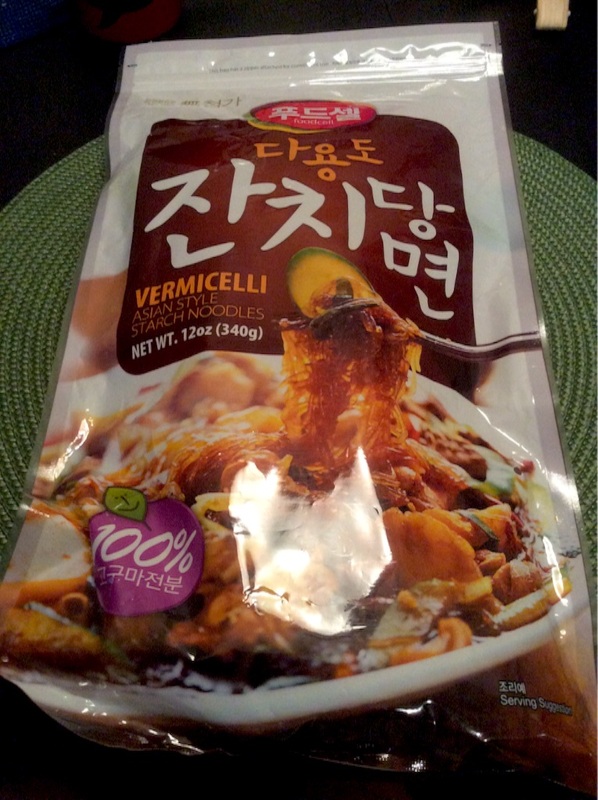 I used Korean noodles for salad today. Was that salad or pasta?? This is our lunch today.